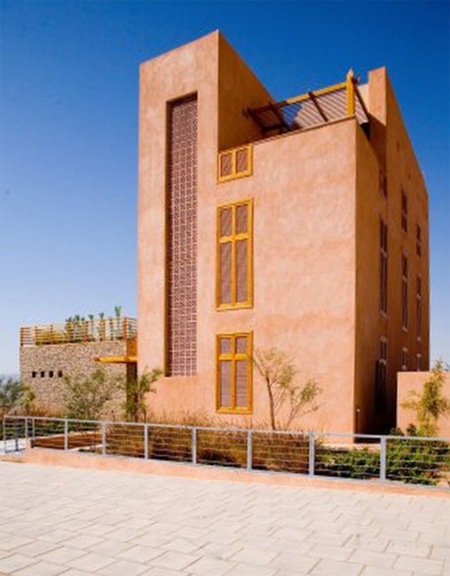 UPDATED – Jordan’s first low energy house in Aqaba is a residential project designed with the intention of creating a prototypical low-cost energy efficient building that achieves substantial energy use reductions without incurring additional construction costs. 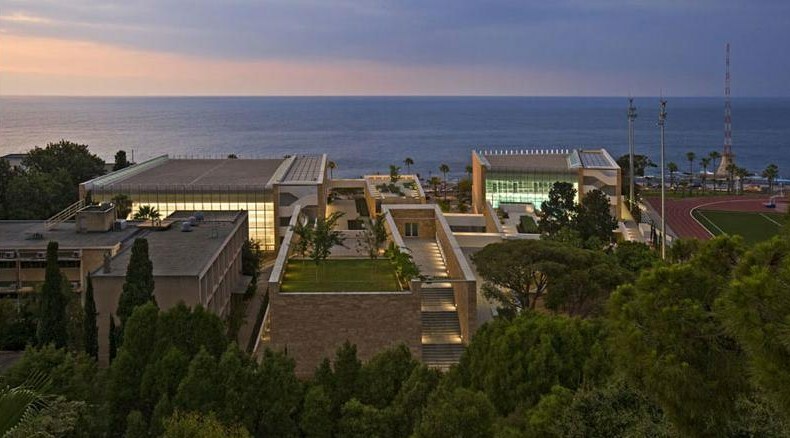 After launching a design competition for a prototypical energy efficient house the house owner – a Jordanian environmental researcher- in collaboration with the Jordanian Center for the Study of the Built Environment, chose to proceed with a practical low energy design with an architecture that resonates with local aesthetics. The competition’s winning scheme by the Dutch architect Florentine Visser, was based on a 3-floor design that included the many spaces required by the owner’s brief (including 6 bedrooms, 3 bathrooms, a car garage, and a basement) in a house with a total area of approximately 420 sqm. In her approach to designing an energy efficient house, the house’s architect used a combination of passive low energy design strategies and efficient active systems. Passive strategies are strategies that use design to reduce the need for heating and cooling. In the context of the Middle East passive design mostly refers to passive cooling strategies since the cooling requirements of middle eastern buildings far exceed their heating requirements. Active systems, on the other hand, are mechanical systems such as heating, ventilation, and Air conditioning units (HVAC) efficient active systems use less energy to heat, ventilate, or cool buildings. Most successful low energy buildings use a combination of passive strategies, active systems, and renewable energy generation to reduce their energy use ,with some buildings achieving the ultimate target of net zero energy, which essentially means that a building -or a development- generates all the energy that it consumes.